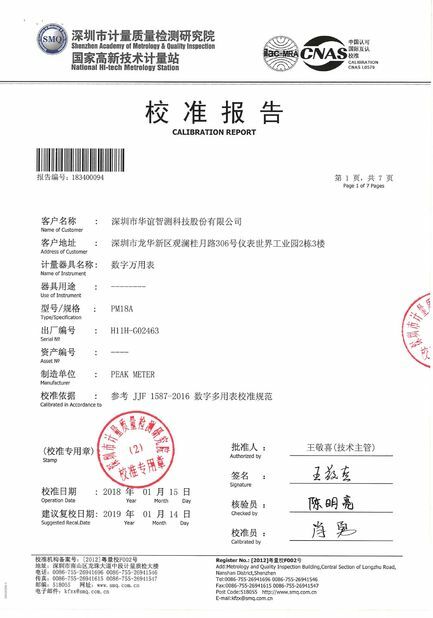 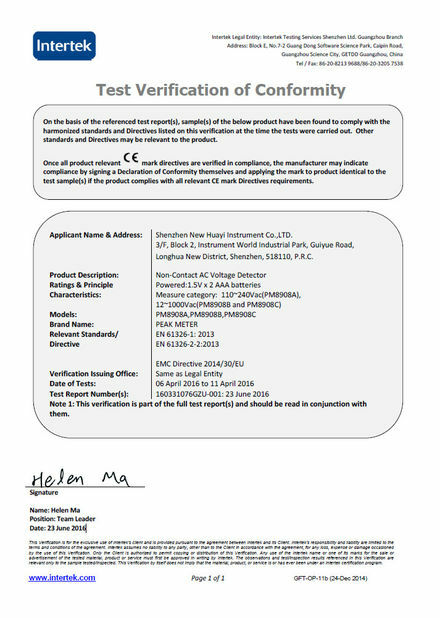 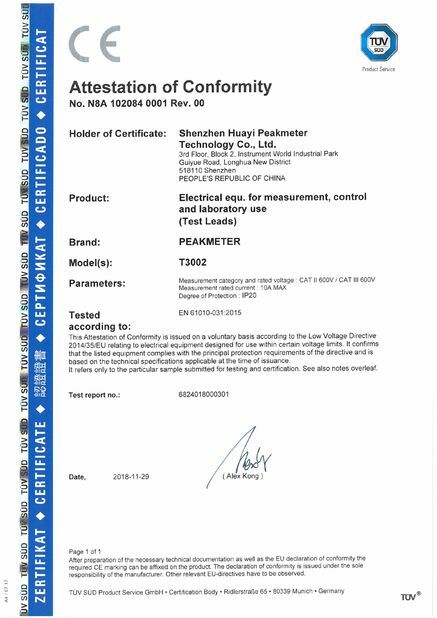 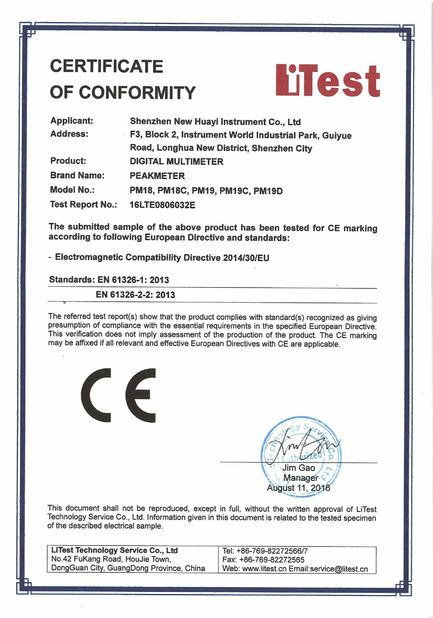 Quality Control - Shenzhen Huayi Peakmeter Technology Co., Ltd.
Peakmeter won a lot of achievements in China , and we archieved ISO9001 : 2008 . 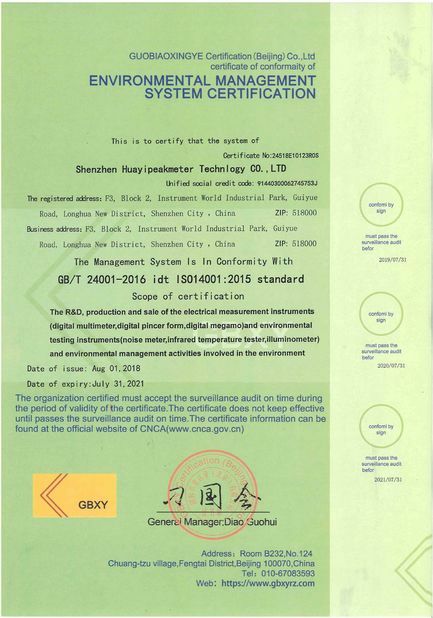 All of our products are CE , ROHS and REACH certified . 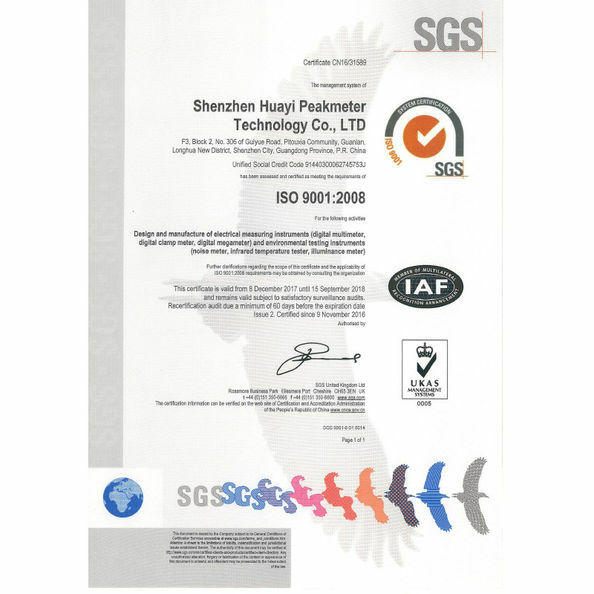 Our mission is to get our work done well to become customers’ reliable business friend. 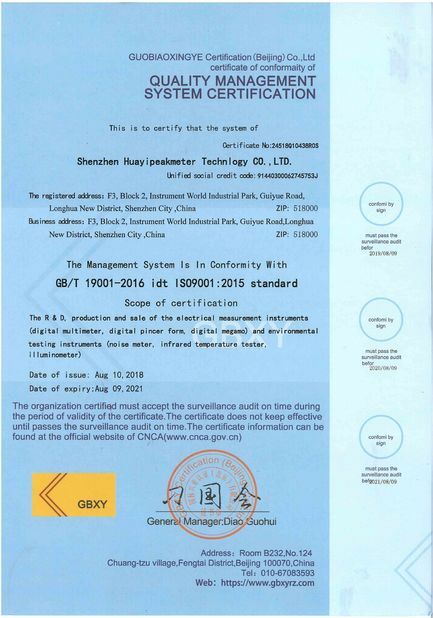 S. E. Q (Service, Economic pricing, Quality) is our concern, we know what you need, and we know what we have. 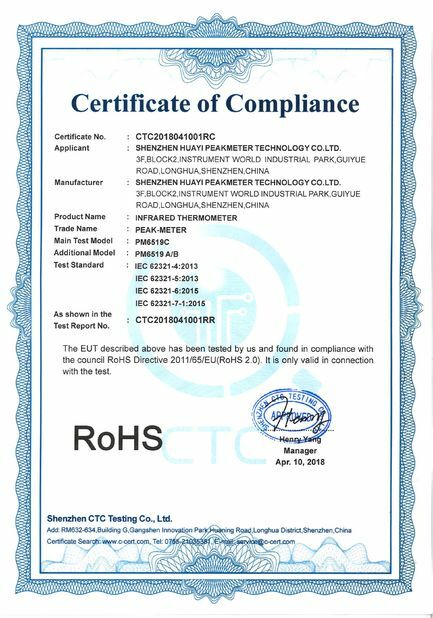 Issued By:Shenzhen TCT Testing CO., LTD.